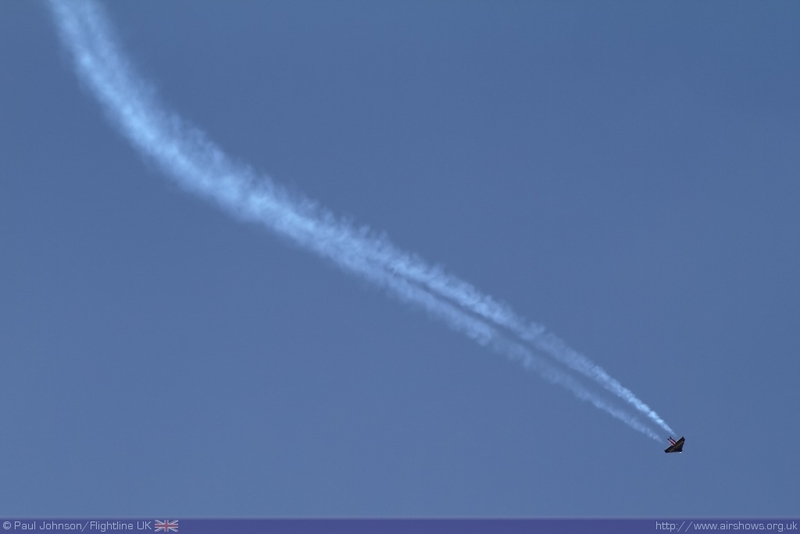 I've been told quite a lot that I really should do the Jersey International Air Display and I ashamed to admit that 2010 was the first time I managed to find time to visit the airshow despite being on my "must-do" list for some time. 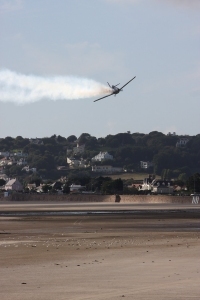 Held in St Aubin's Bay in St Helier, the Jersey IAD has built an amazing reputation for attracting some rare and wonderful aircraft many of which haven't been to mainland UK shows. 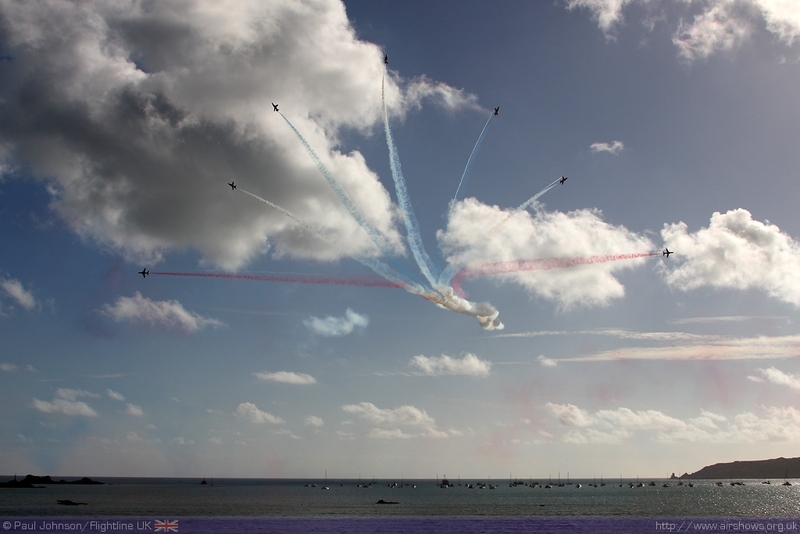 The Air Display forms the centrepiece of "Battle of Britain Week" on Jersey and its main aim is to raise funds for the Royal Air Forces Association and other services charities. 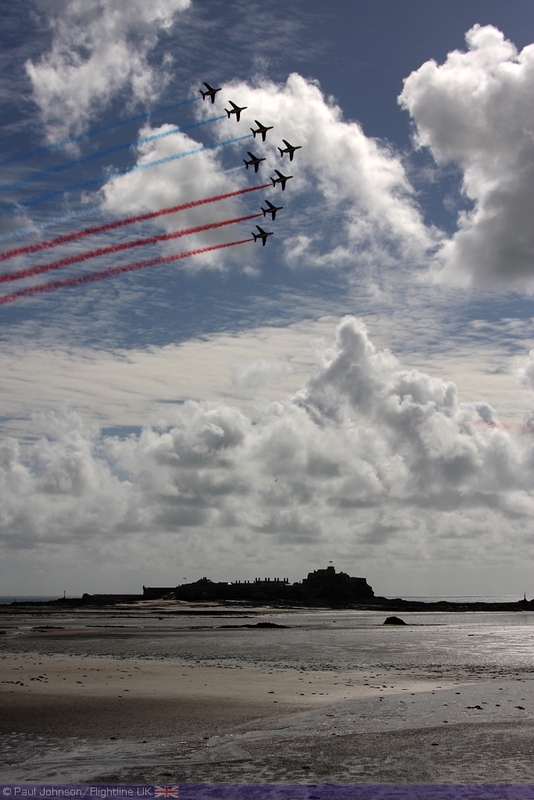 Of all the events held on Jersey each year, the Air Display remains the most popular. On the face of it, Jersey may appear to be a little too distant for many to attend, but nothing could be further from the truth. 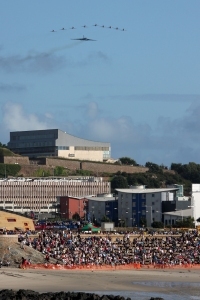 Cheap and regular flights mean that Jersey is only an hour or so flying time from the South East of England and there are excellent bus links on the Islands. Either if you are just visiting for the day or staying longer the Jersey IAD is in easy reach. 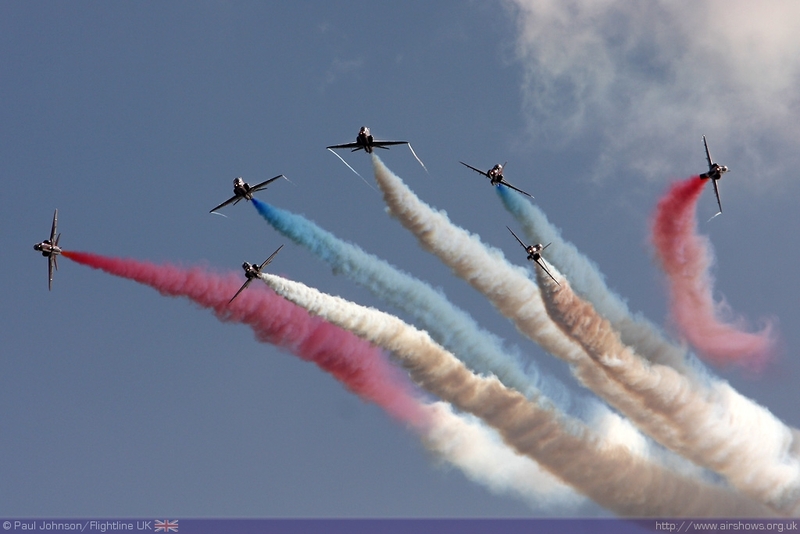 Events around the air display run all week. 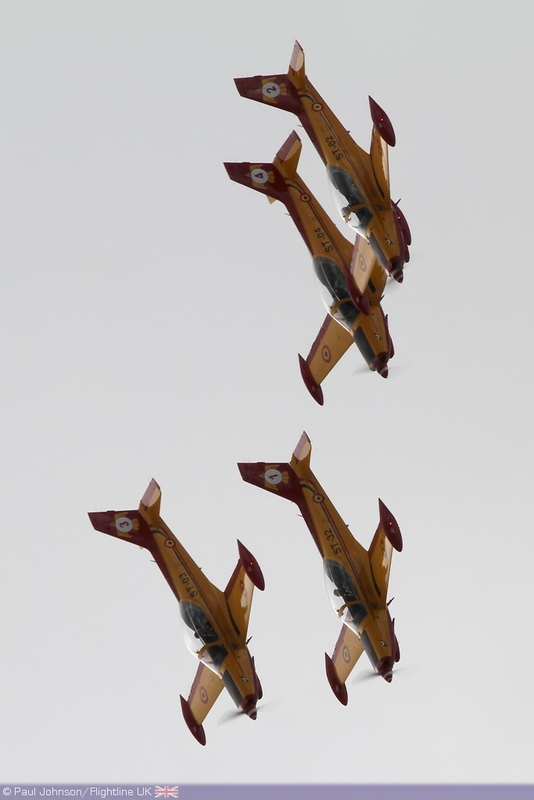 The airport allows access for a small fee to the ramp where many of the display aircraft are parked before and after the show itself. 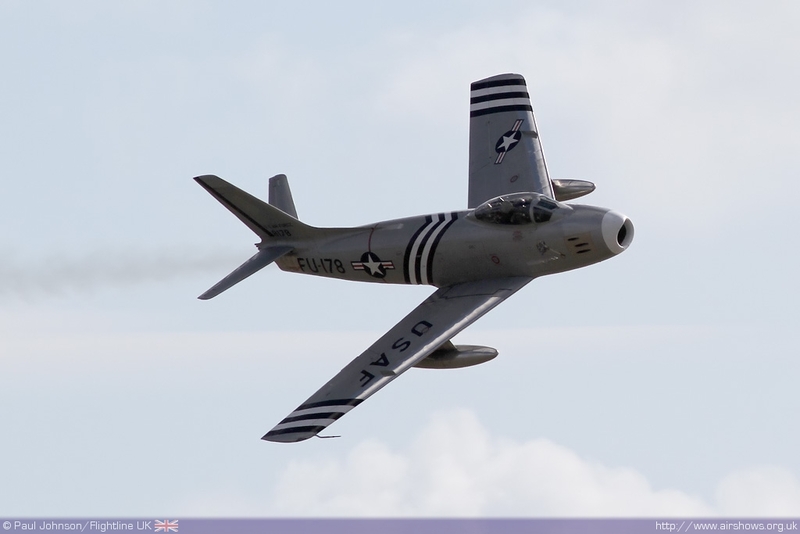 With so many rare aircraft attending it is a great chance to get up close to them! 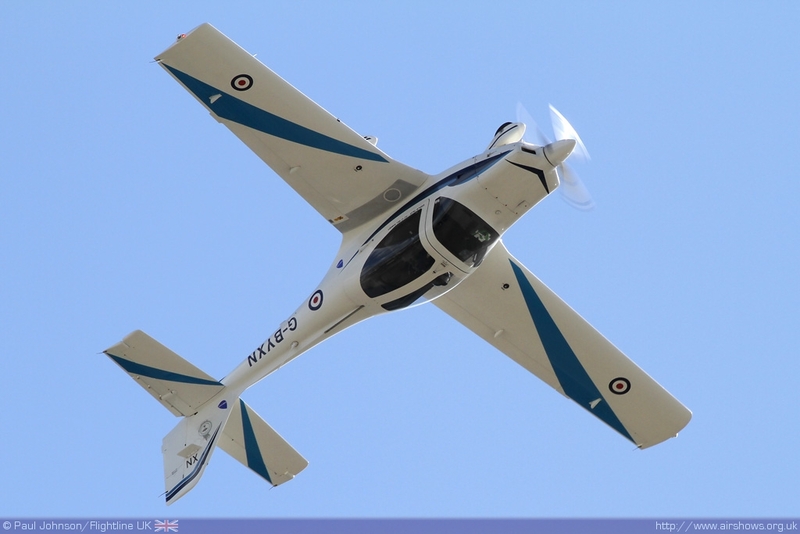 Sadly, I missed the Sikorsky S38 which had been due to flypast on its way to the airport. 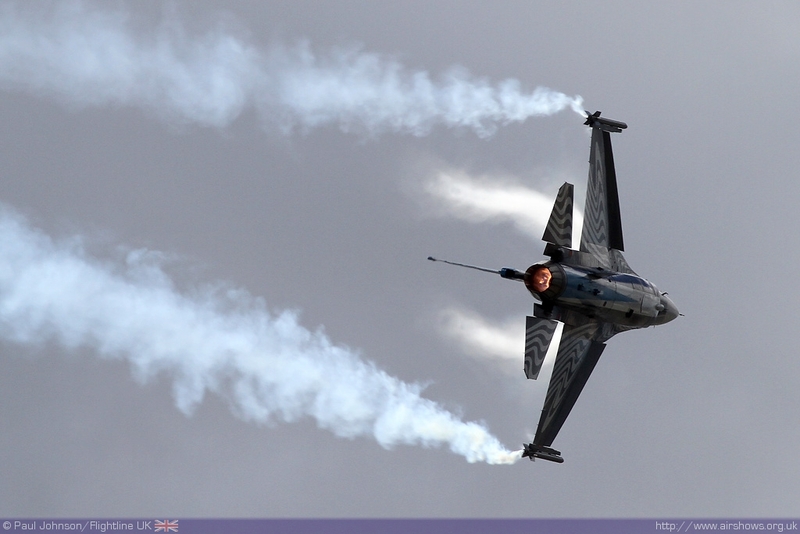 Its late arrival on show day meant it missed the flying display but it was available for photographs on the Friday! 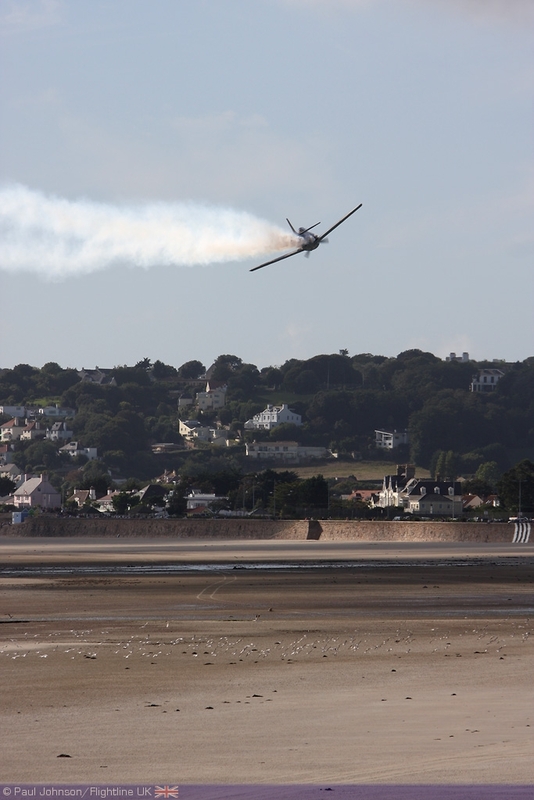 St Aubin's Bay has to be one of the most spectacular air display venues in the UK. 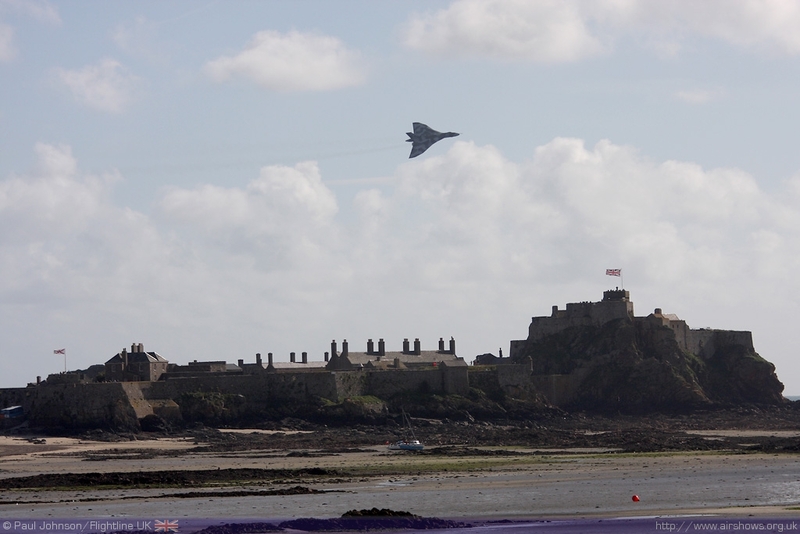 Its huge sandy beaches and the curve of the bay towards Noirmont provide a perfect amphitheatre for an airshow with the stunning backdrop of Elizabeth Castle. 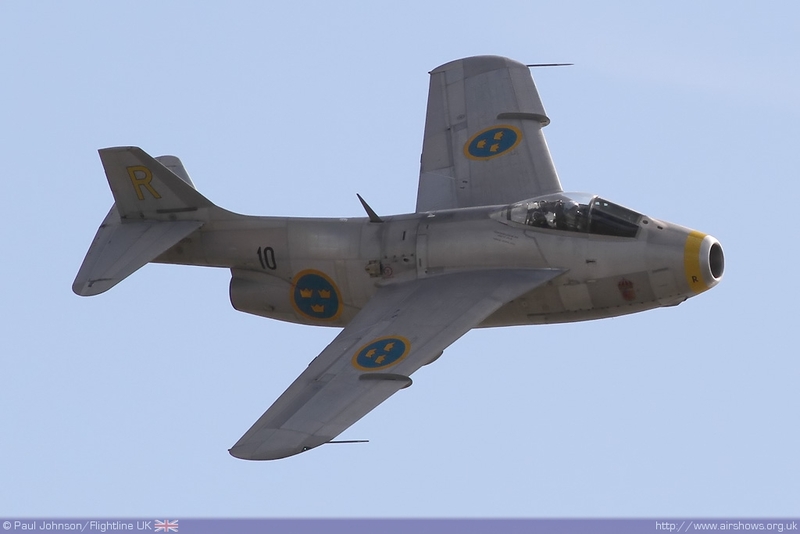 For the flying displays, the beaches are actually closed to the public as they provide areas for parachute drops and are under the display lines for the slower aircraft. 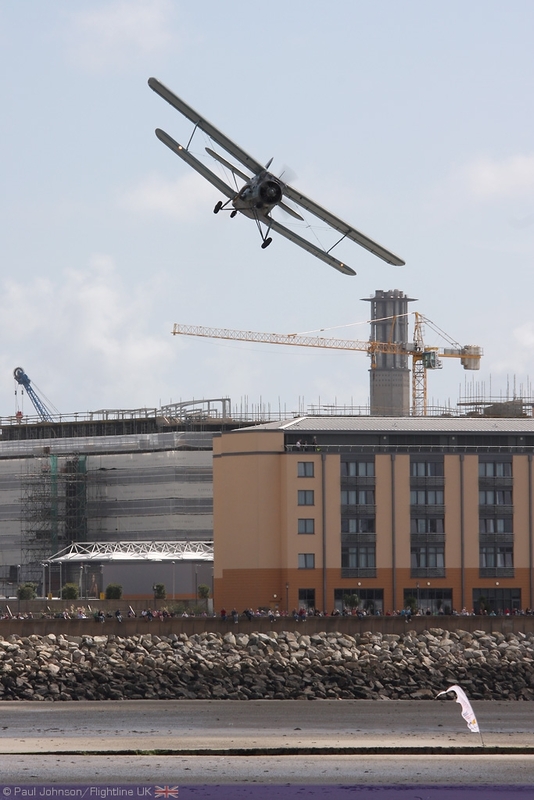 In the past the beach has been used for aircraft operations but not in 2010 which was a shame - hopefully at future displays such operations will return as they have certainly enhanced seaside displays at Southport and Portrush! 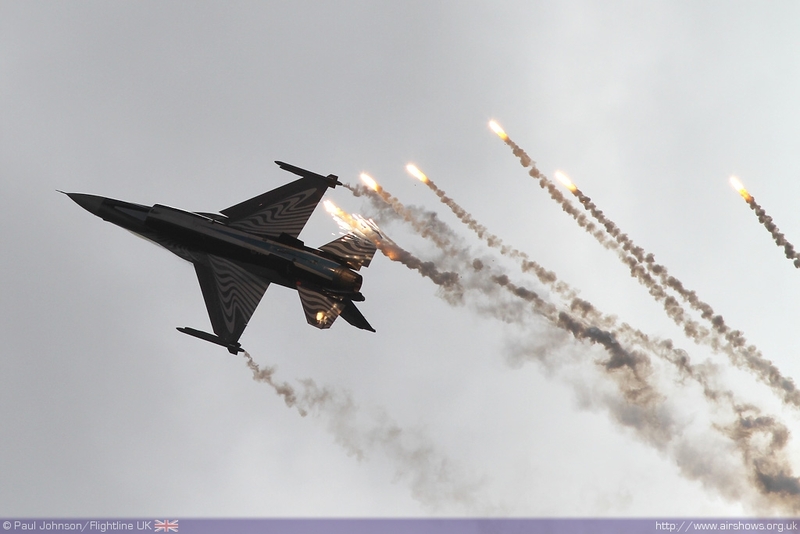 2010's displays got underway at lunchtime to a slightly shaky start. 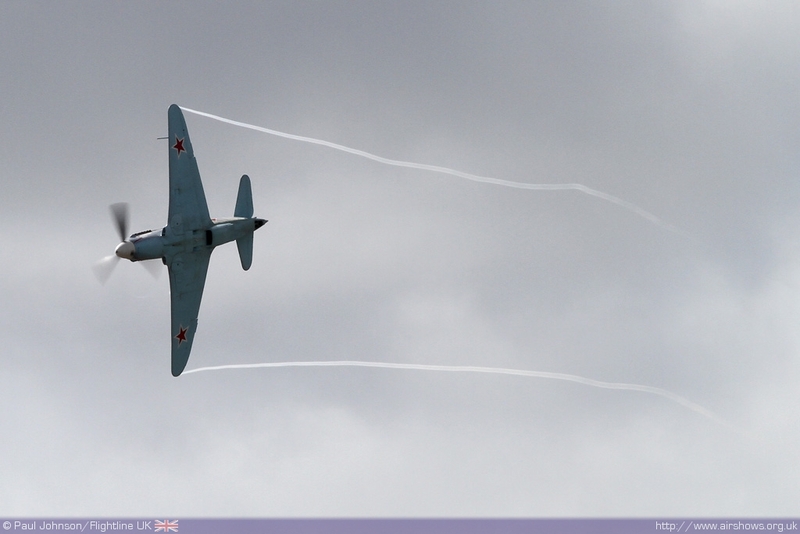 Though it was fairly warmed and there were blue skies, there were patches of low cloud blowing in off the Atlantic. 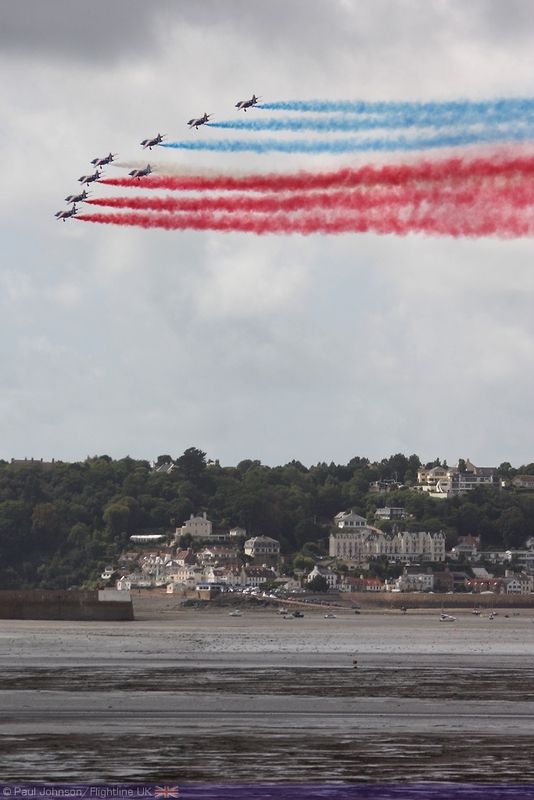 Also, Guernsey was hosting its display on the same day and the opening aircraft was performing at both and ran a little late. 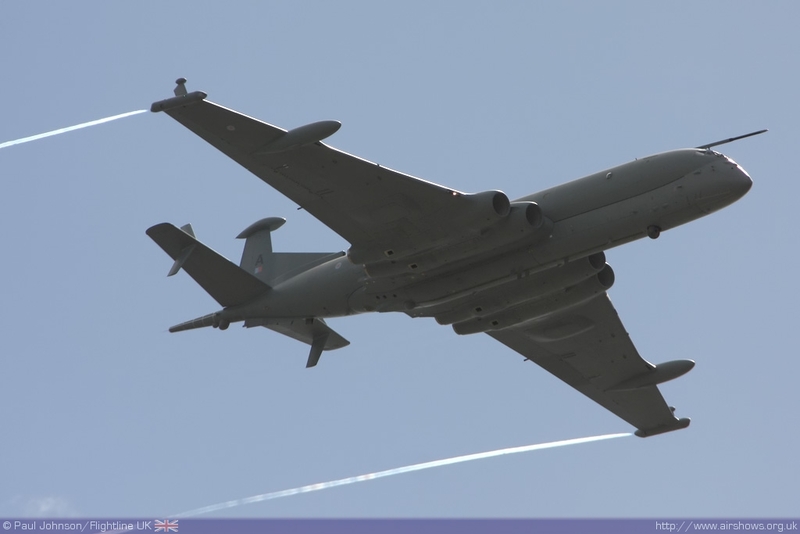 That opening aircraft really set the tone for the rest of the day being in the form of the BAE Systems Nimrod MRA4 from 120 Squadron based at Kinloss. 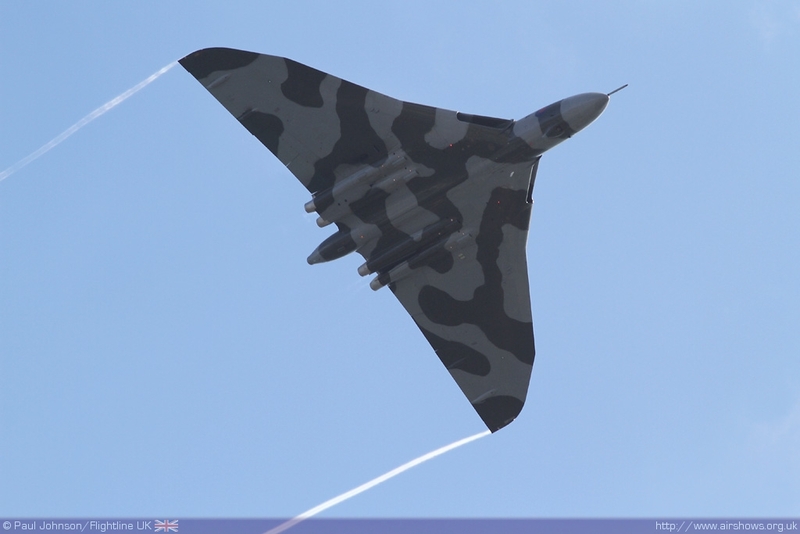 It's appearances at Guernsey and Jersey were infact it's only airshow appearances at all during 2010! 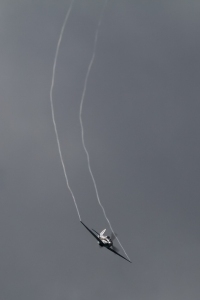 Sadly however, the low cloud did force the RAF Falcons to abandon their drop after they ran out of slot time to drop. 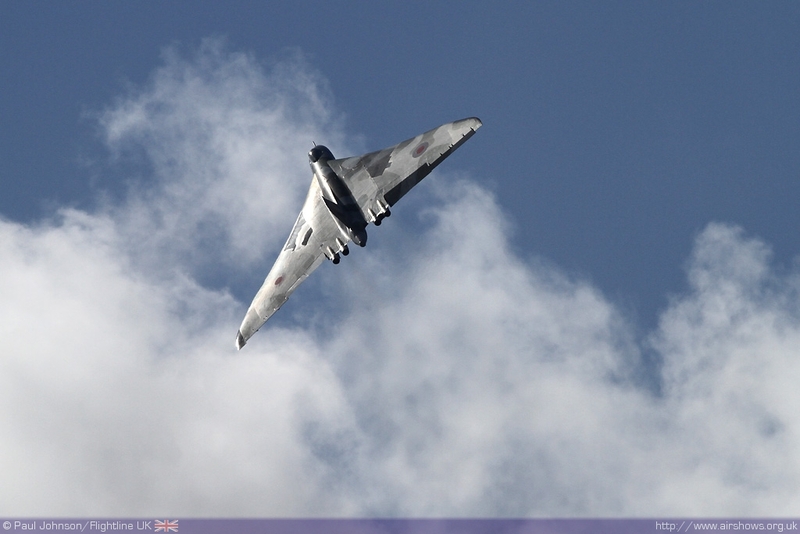 The RAF participation for such a large event and in a place seldom exposed to military aviation did seem a little down. 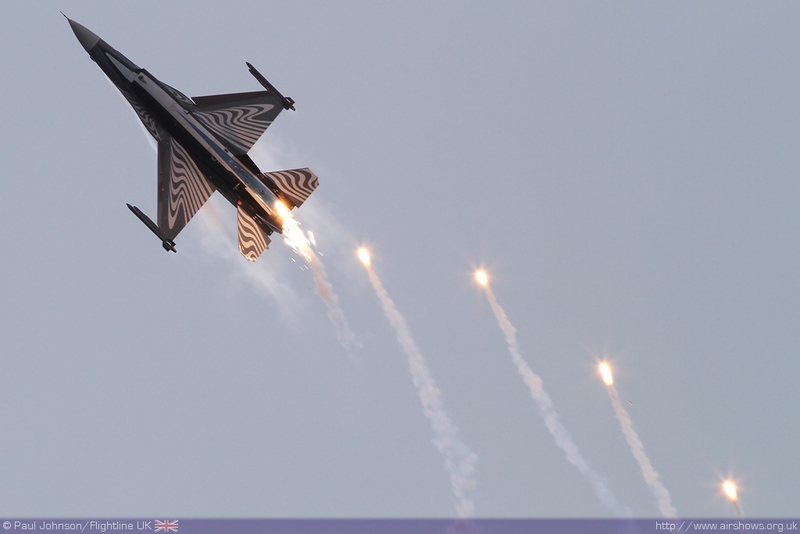 The RAF Typhoon was unable to attend as was the RAF Hawk. 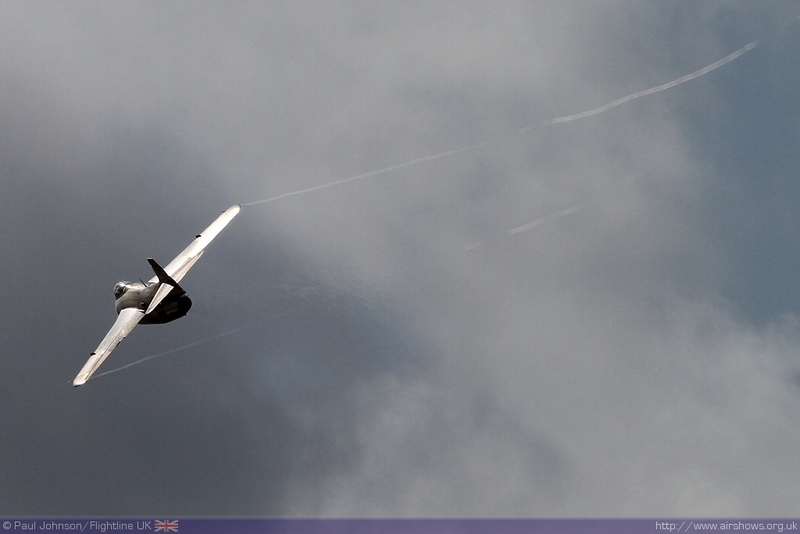 That just the Tutor, Tucano and King Air to represent the usual solo displays on the Channel Islands! 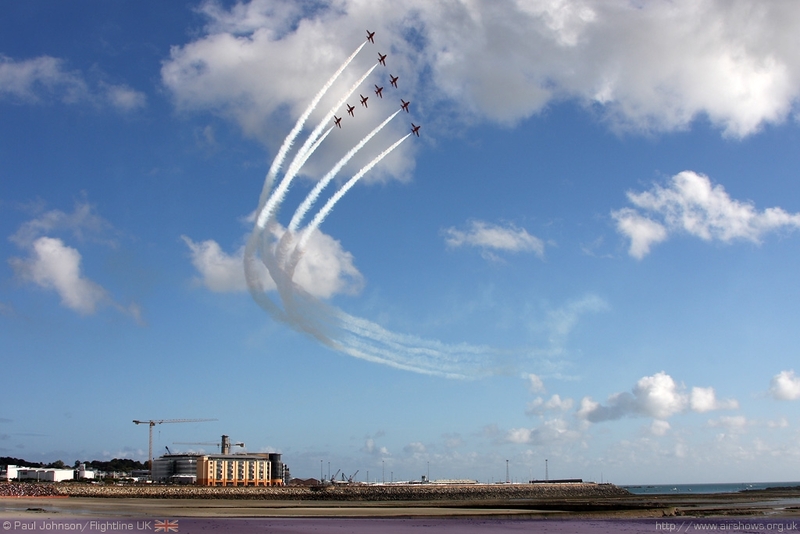 The Red Arrows have never missed a Jersey Air Display though since their formation. 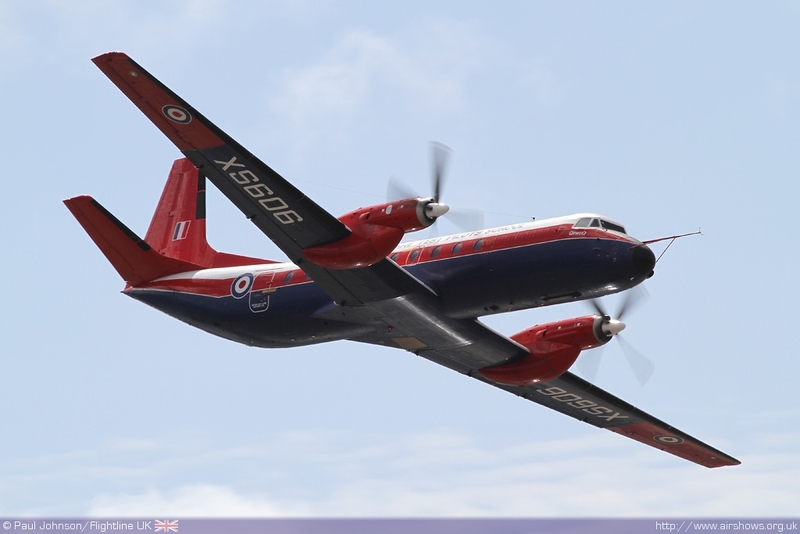 The Team were on Jersey throughout Battle of Britain week from Tuesday through to Saturday morning. 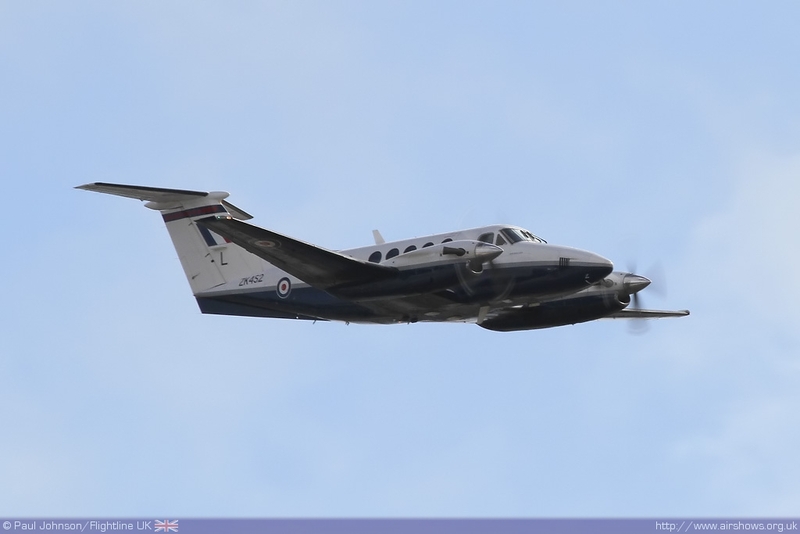 There was however one British military aircraft making its first and last ever appearance at the Jersey International Air Display; the QinetiQ operated Andover C1 from Boscombe Down. 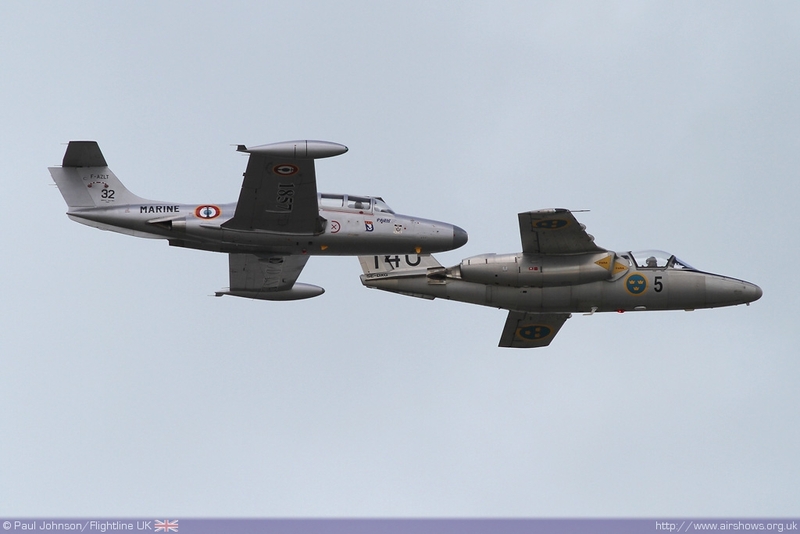 The aircraft participating in the display, XS606 is used by the Empire Test Pilots School and is joined at Boscombe by two other Andovers, one of which is used in the 'Open Skies' role. 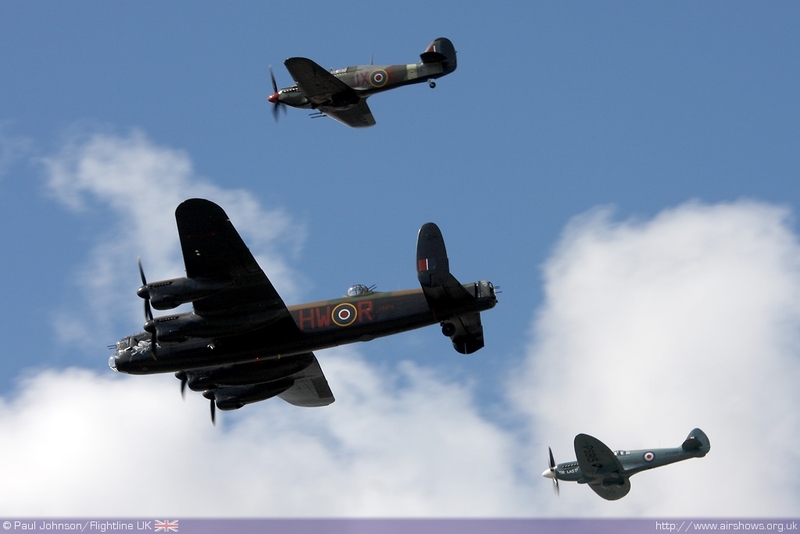 The RAF Battle of Britain Memorial Flight also made the trip to the Channel Islands with its standard three ship of Lancaster B1, Hurricane IIc and Spitfire PR XIX. 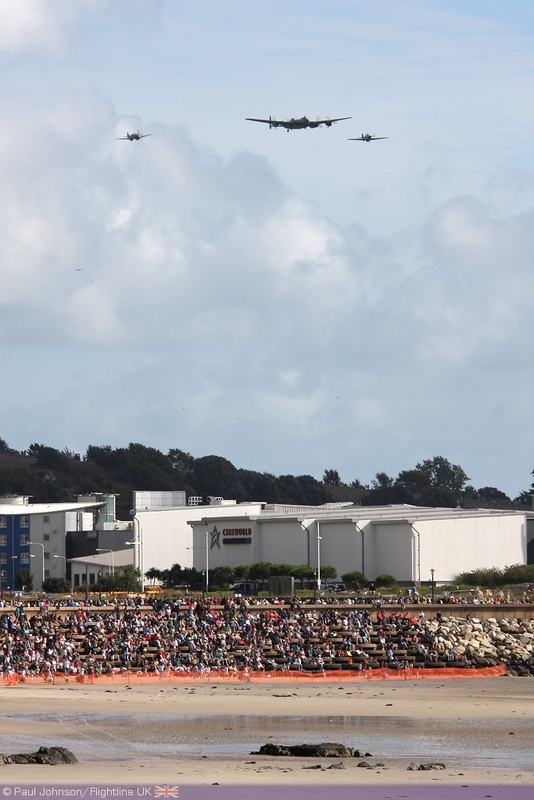 The people of Jersey are clearly very fond of the BBMF and the flying memorial they represent. Jersey had a very different wartime history to the rest of the United Kingdom as it was occupied by the Germans from 1940 through to the rest of the war. 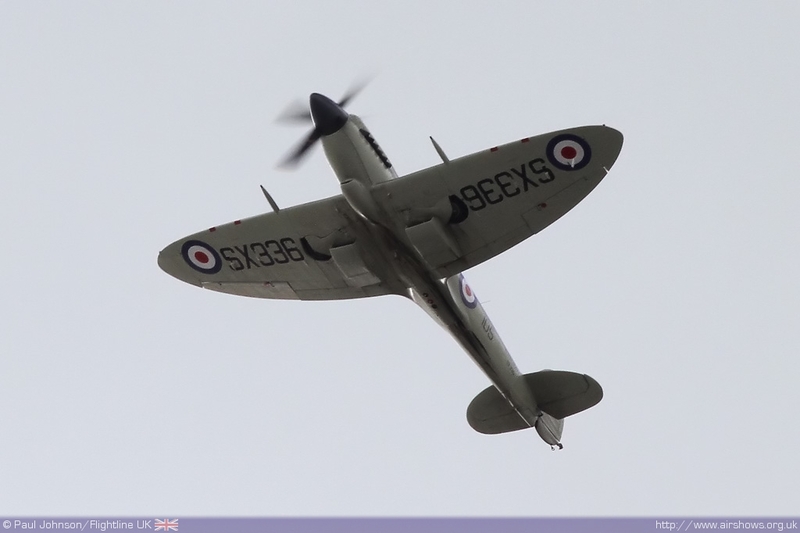 The BBMF aircraft were not the only warbirds taking part in the display with a very varied selection of types display. 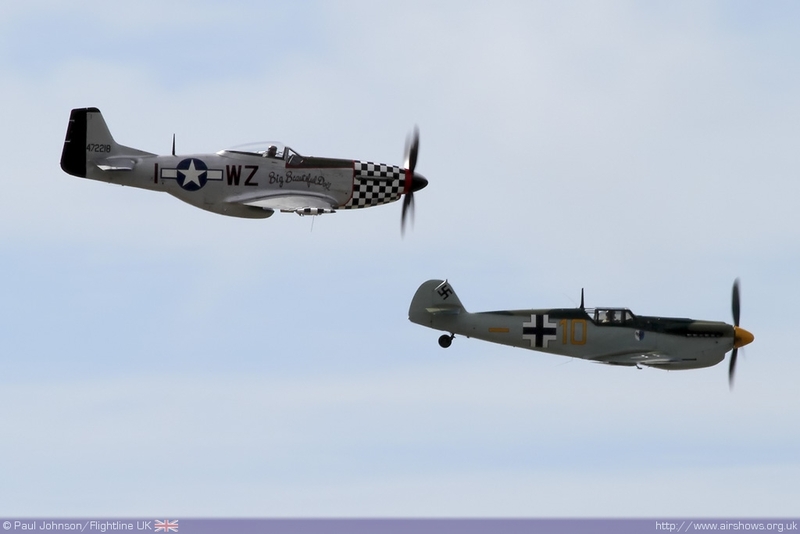 Charlie Brown and Rob Davies performed a tail chasing dogfight over St. Aubin Bay in the Hispano HA-1112-MIL Buchon and P-51D Mustang Big Beautiful Doll respectively. 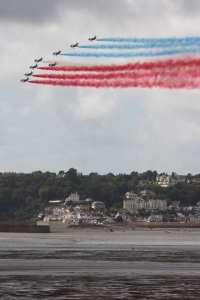 It was certainly an unusual combination in the context of the 2010 display season and all the Battle of Britain scenarios we've seen so Jersey should be congratulated for think outside of the box! 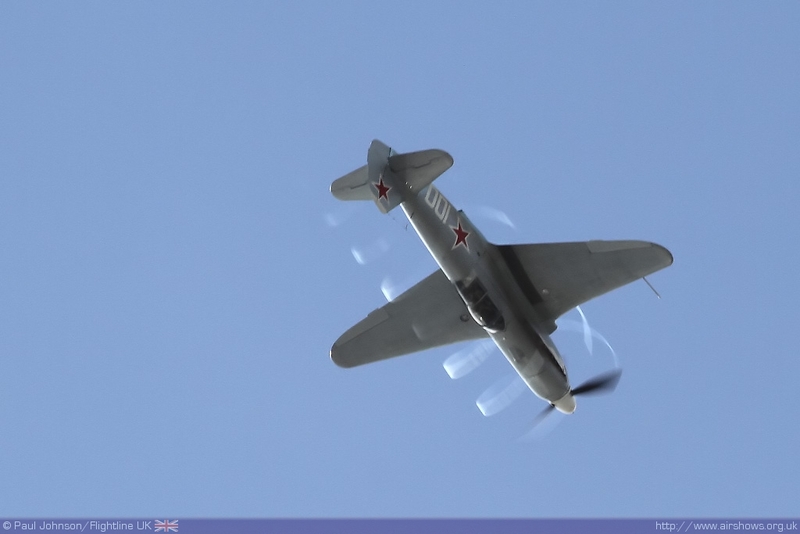 Later in the afternoon Chris Vogelsang displayed his potent Yakovlev Yak-3. 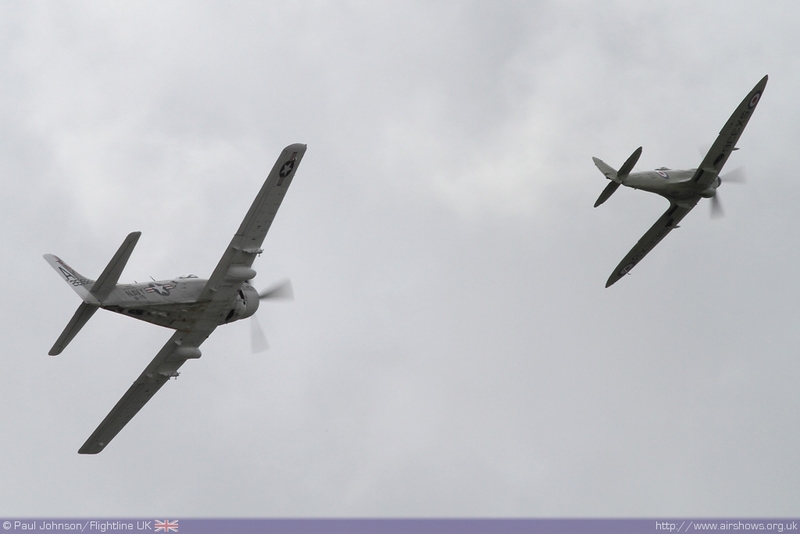 Chris was due to have joined the Buchon and Mustang, but the weather across Europe prevent him from joined the display early on. 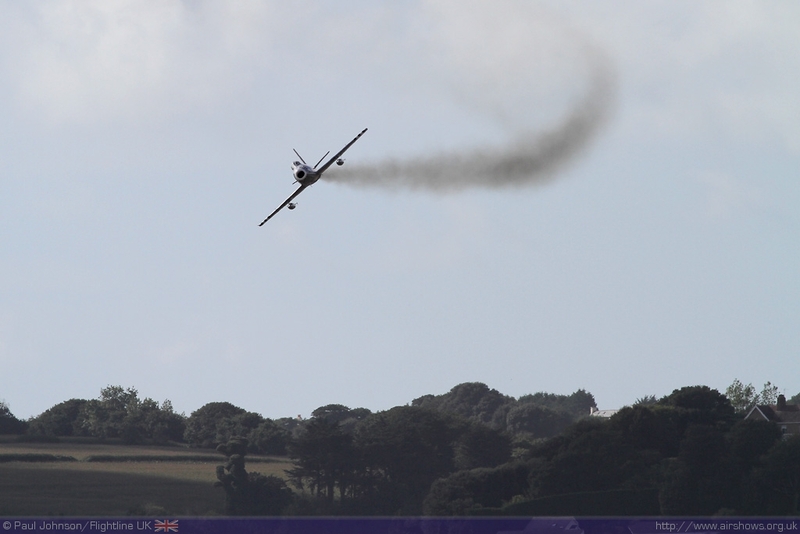 Chris was slotted in for a solo display later on and put on an incredible display that saw vapour stream off the aircraft's wingtips and the propeller blades. 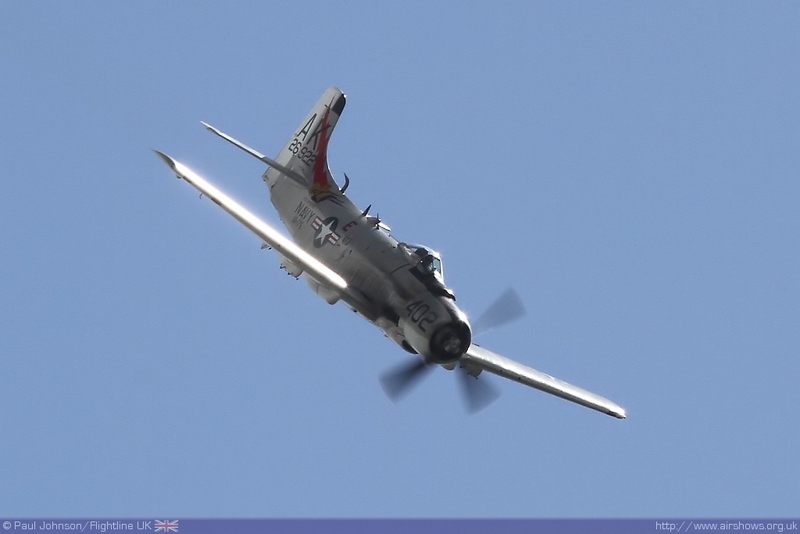 Late additions to the flying program were the naval pairing of Seafire XVII and Skyraider flown by John Beattie and Rod Dean. 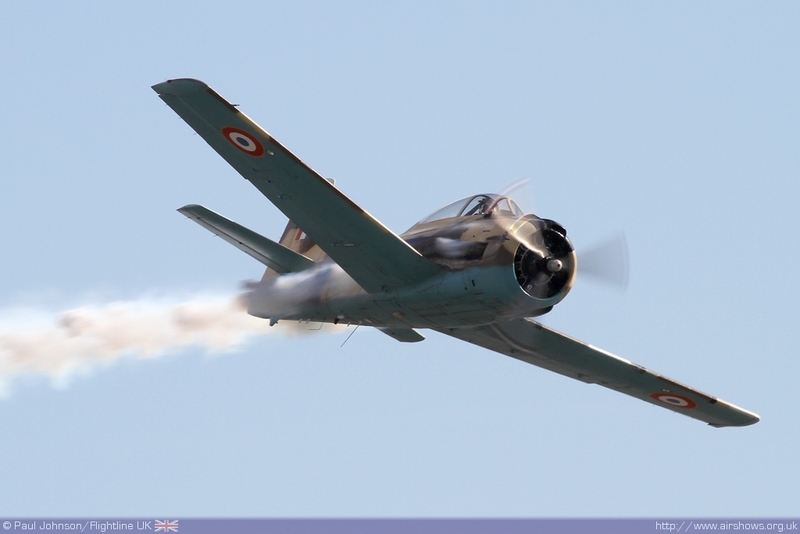 Further piston power came from the T-28S Fennec of Martin Willing, a Jersey resident who clearly revelled in displaying at his home airshow. 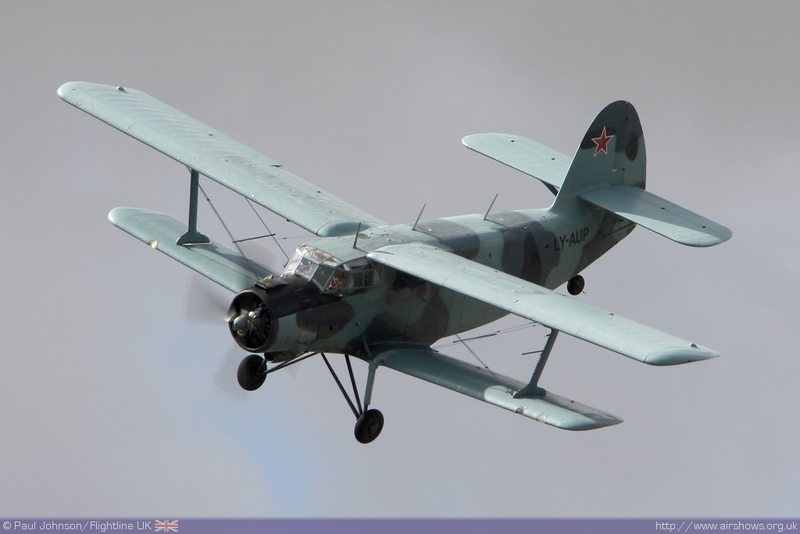 Also making the most of the unique layout of the show was Air Unique's Antonov An-2 which took advantage of the brisk winds to perform some ultra-slow passes close in to the crowds on the promenade. 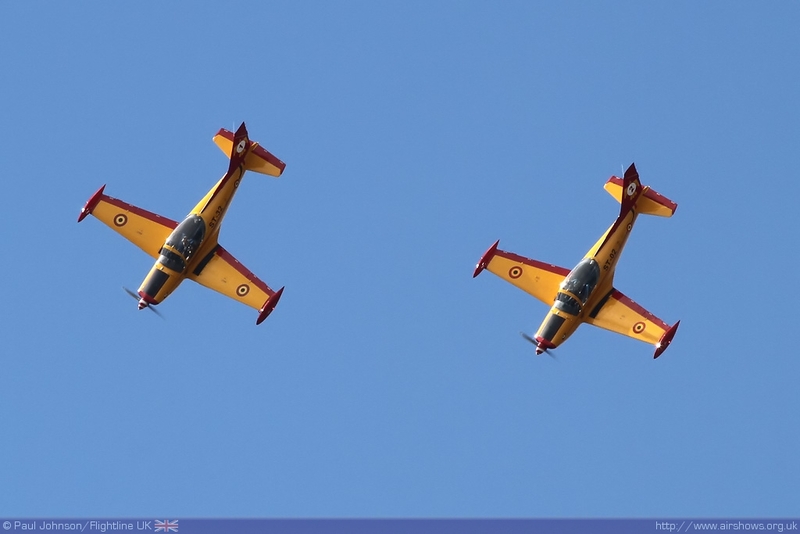 On top of the RAF support for the air display, a number of European air forces participated in the event. 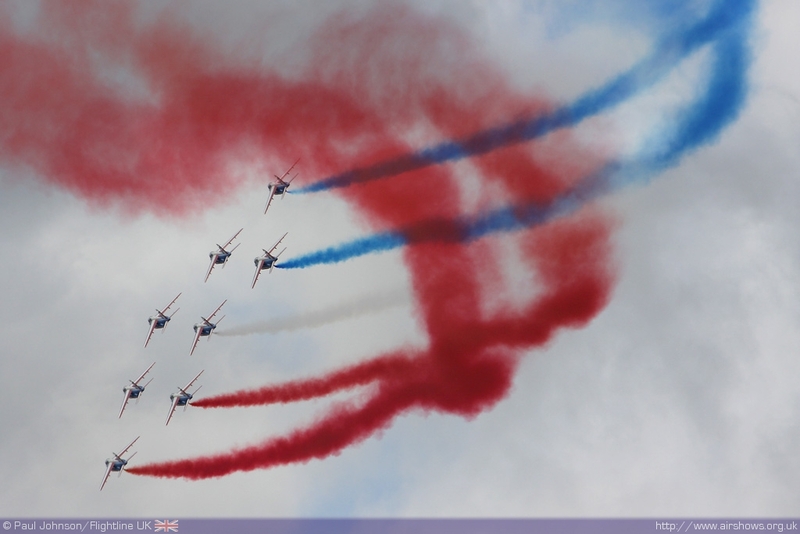 The French Air Force contributed the Patrouille de France which arrived and rehearsed on show day early in the morning. 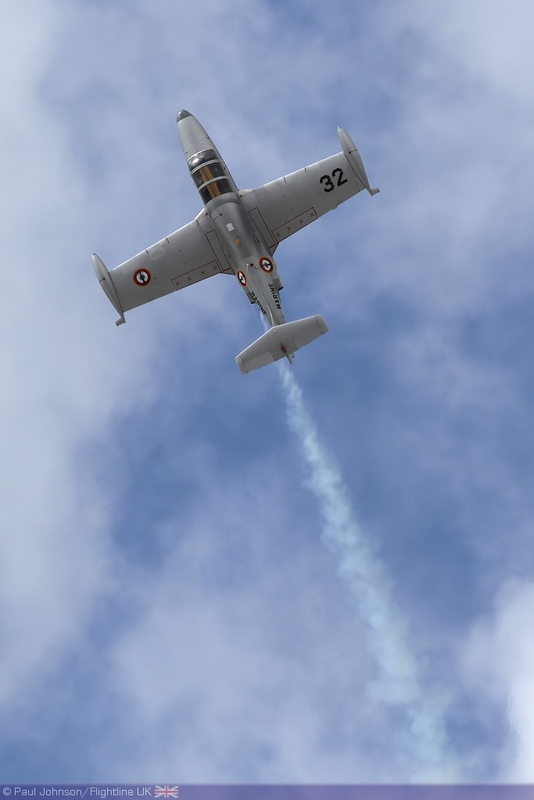 The team had to contend with the worst of the patchy low cloud during their display which led to thier poor weather show being display though the it's patriotic finale looked great set against Elizabeth Castle. But the strongest military support came from Belgium. 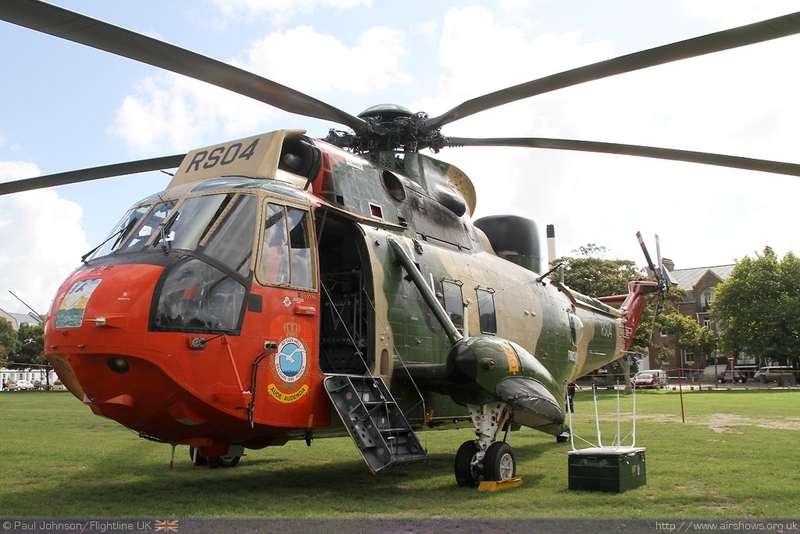 A Westland Sea King from No 40 Squadron was on static display in People's Park while there were two very different flying displays from the Belgian Air Component in the air. 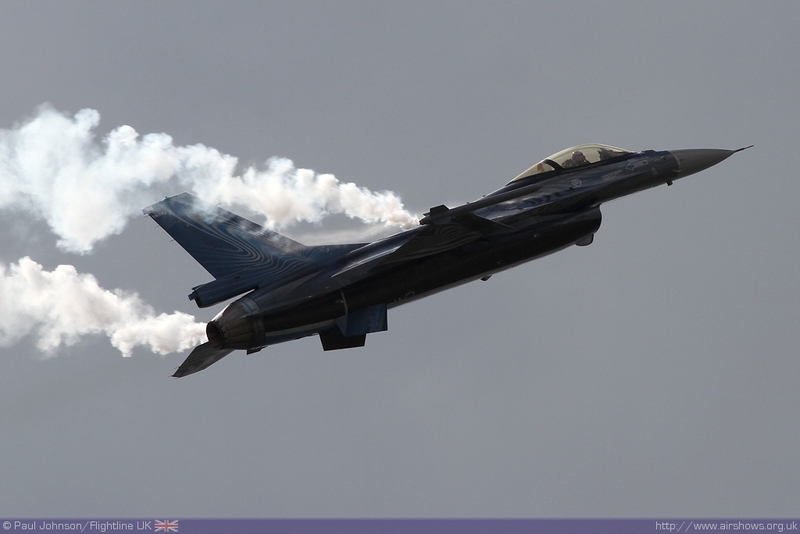 The solo F-16AM Fighting Falcon flown by "Mitch" Beulen from 349(F) Squadron maybe a familiar display in 2010 at UK shows, but it never ceases to be a truly impressive account of the 30 year old fighter. In my opinion Mitch's displays have been one of the outstanding highlights of the 2010 season. 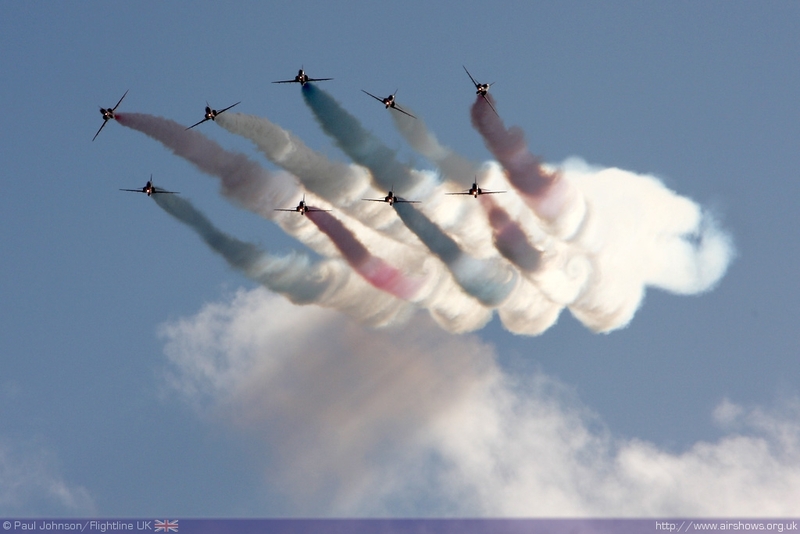 Alongside the F-16 was the UK display debut of the Hardship Red formation aerobatic display team. 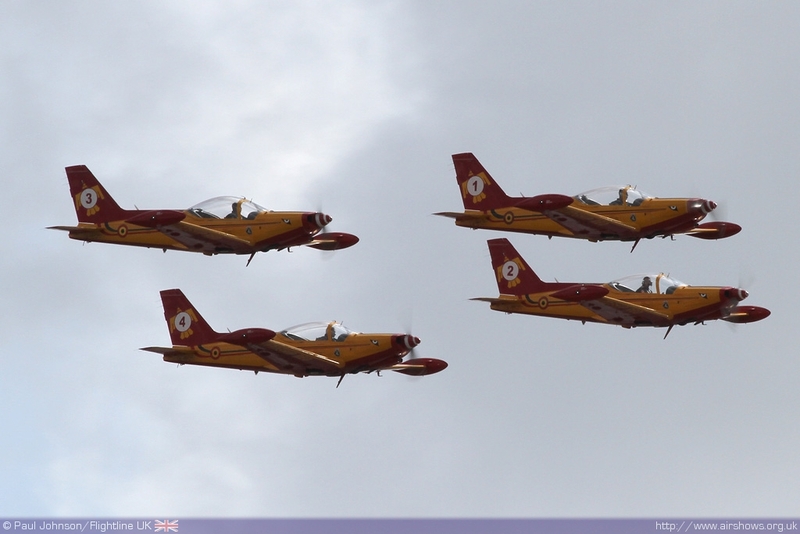 The team were formed in 2009 with instructors from Beauvechain Air Base with SIAI Marchetti SF260 trainers. 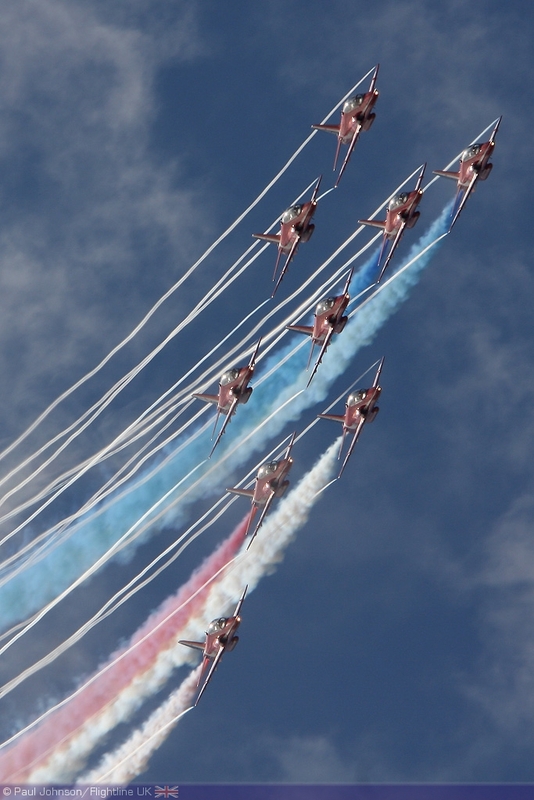 While the team lack the power and noise of the bigger teams, their display is elegant and precise and we hope to see them more in the UK over the coming years. 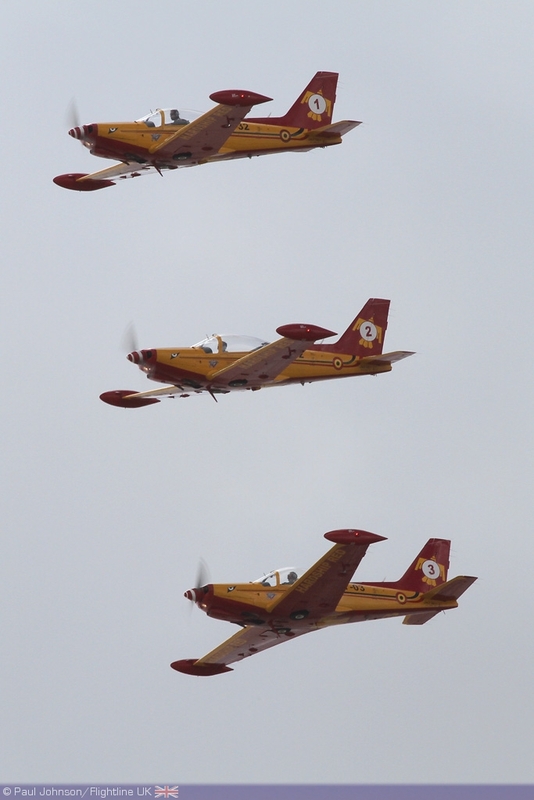 Classic Jets have proved to be something of a highlight of recent Jersey Air Displays. 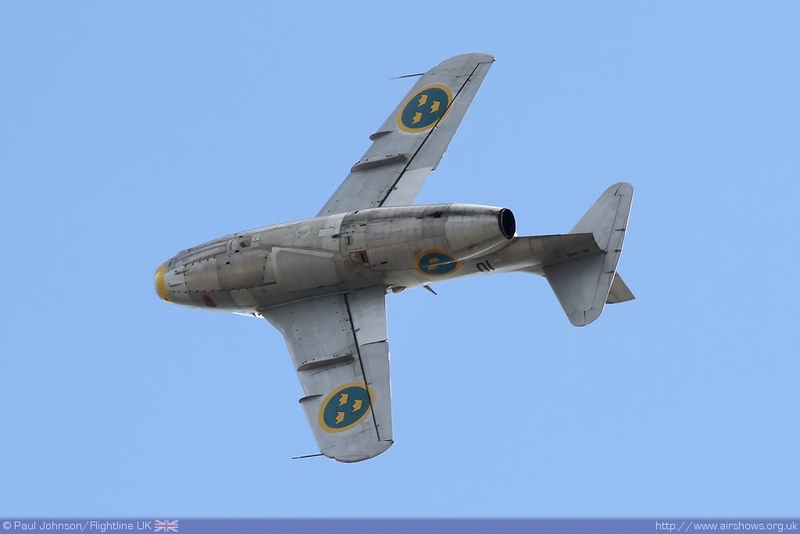 The participation of the Swedish Air Force Historic Flight has become something of a regular feature at the show but in 2010 their aircraft were presented alongside some other interesting types. 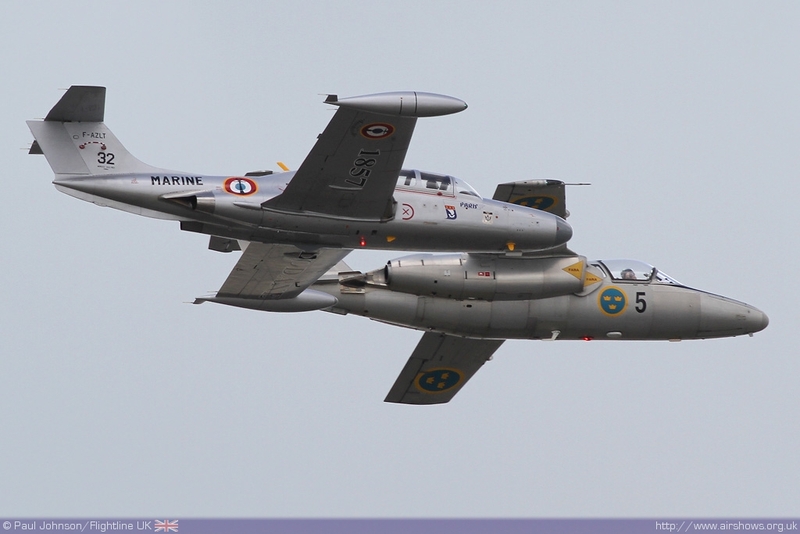 The first to appear was the flights own SAAB Sk.60 (SAAB 105) which appeared alongside the Morane Saulnier MS760 Paris II from Armor Aero Passion based at Morlaix in France. 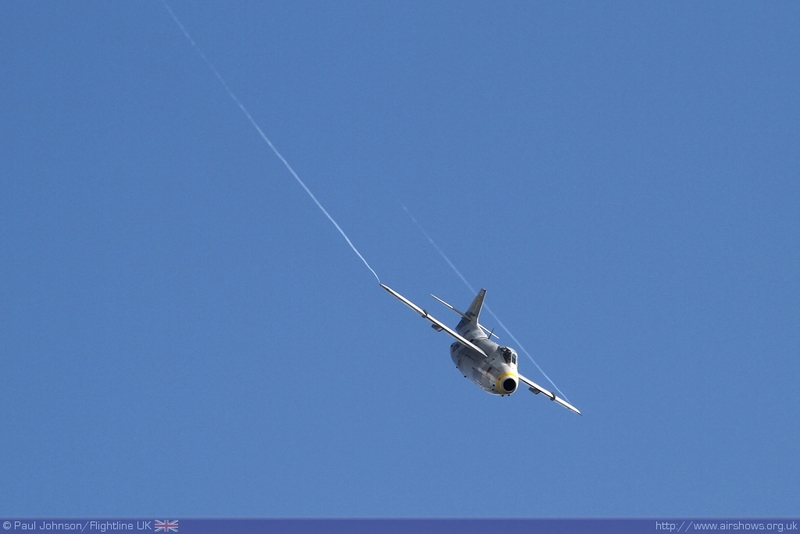 The unique combination of liaison and communication jets has not been seen anywhere else before. 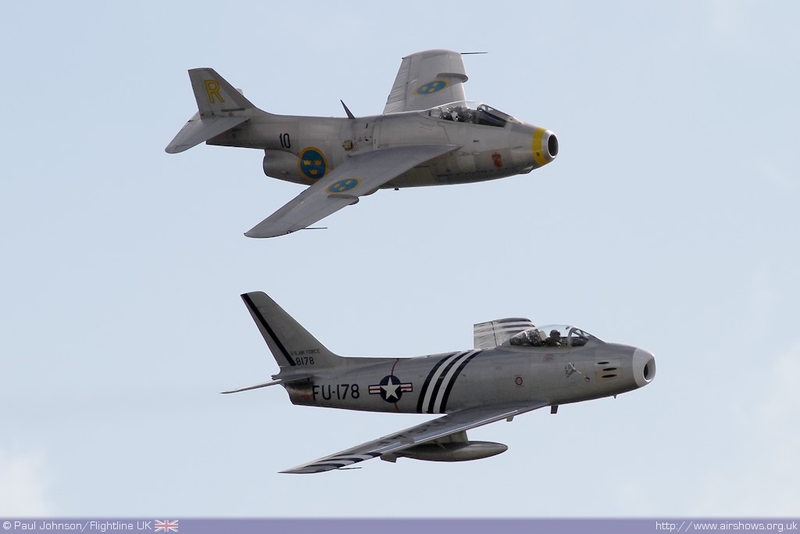 Following on later in the afternoon was another unique formation involving a Swedish Air Force Historic Flight aircraft; this time the SAAB J29F Tunnan leading Golden Apple Operation's F-86A Sabre. Again, this was a new and unique formation of early jet fighters never seen elsewhere! Full marks to the Jersey organisers for putting together these combinations. 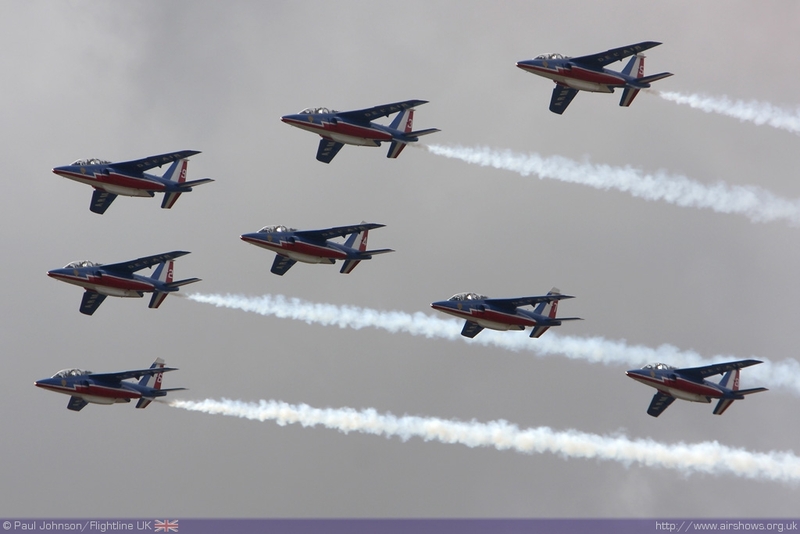 Just prior to the Red Arrows closing the show, there were yet another formation involving a classic jet. 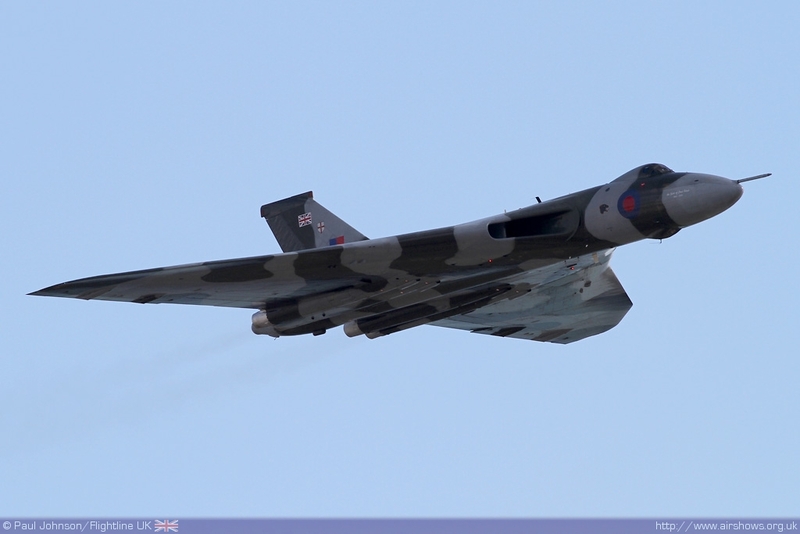 Avro Vulcan B2 XH558 was making its second Jersey appearance and after it's solo display linked up with the Red Arrows for stunning pass over St Aubin's Bay. 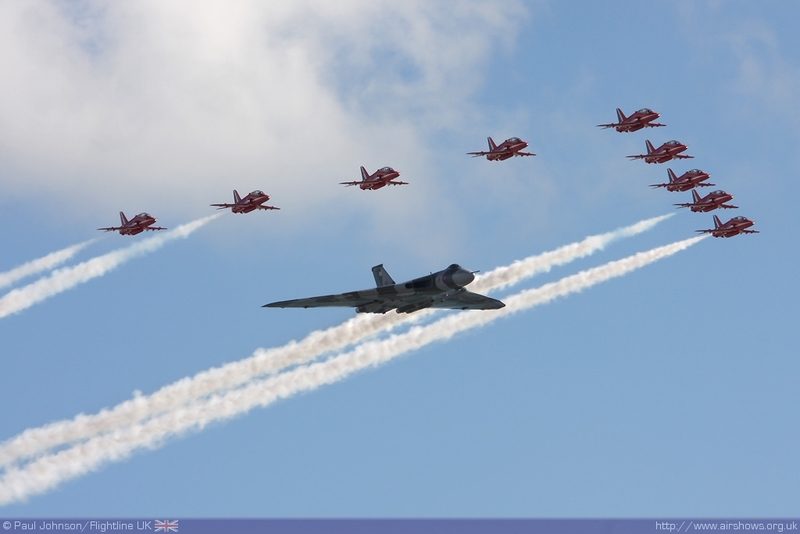 With the Vulcan to the Sky Trust once again in financial difficulties could Jersey have seen the last such formation at an airshow? 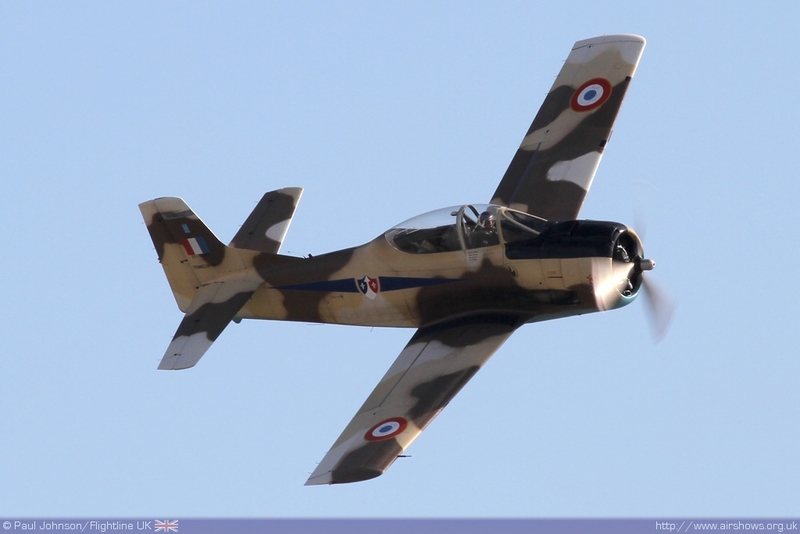 Jersey undoubtedly would have been a highlight of the season with all the "firsts" involving the aircraft participation, but there was one final, very big first Jersey offered. 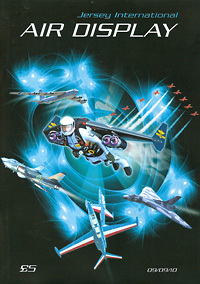 It was in fact a WORLD airshow first. 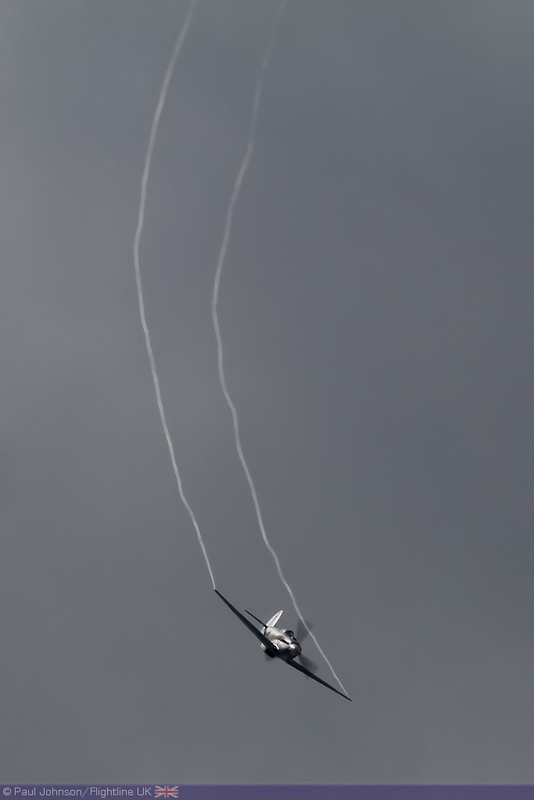 "Jet-Man" Yves Rossi had earlier in the day been forced to postpone his first ever display at an airshow due to the weather, but later in the day winds were just about right for one of the most extraordinary jumps ever seen at a public show. 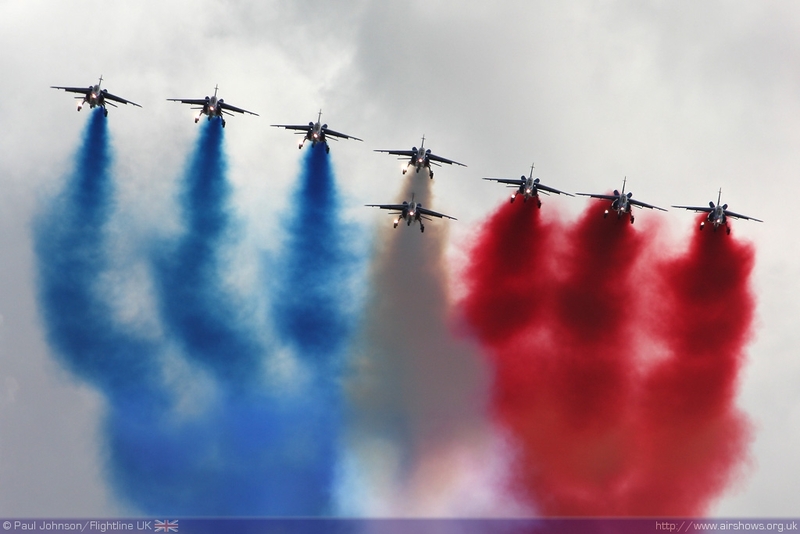 Many would have missed Yves leave the aircraft but a slight whooshing noise gave it away that somewhere up in the blue something was happening. 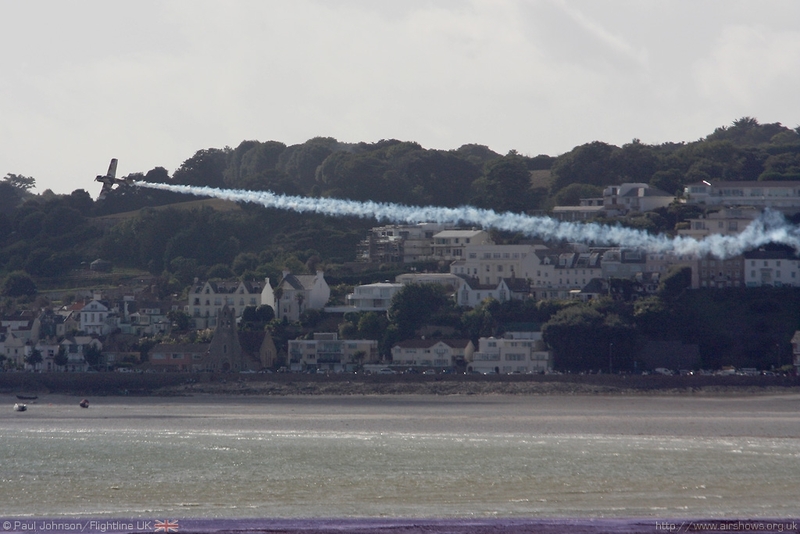 Then, suddenly a faint white trail streaked across the sky - the "Jet-Man" was over Jersey! 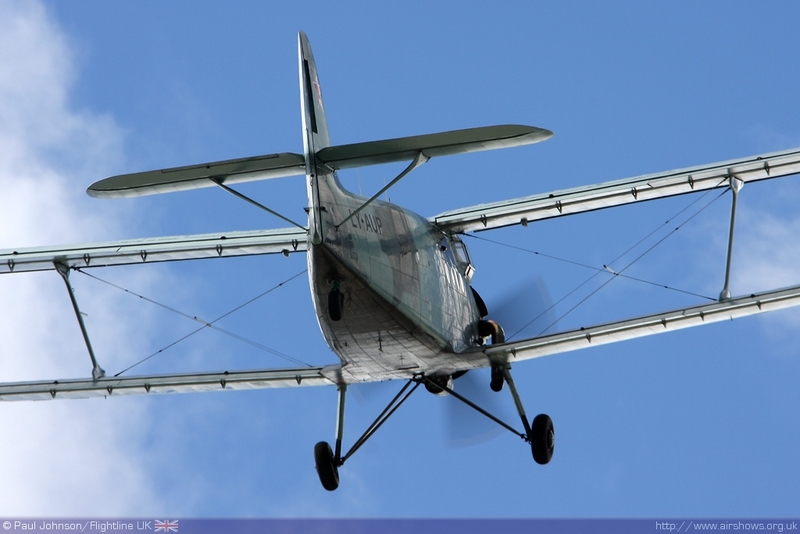 What was truly mindboggling was the agility of the Wing and Yves strapped to its underside! 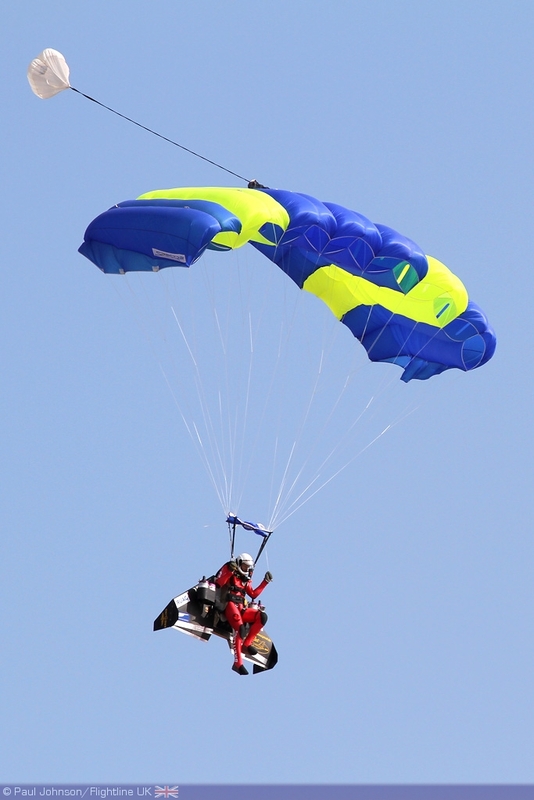 Yves was able to turn quickly and even displayed a couple of barrel rolls during his brief descent before deploying his parachute. 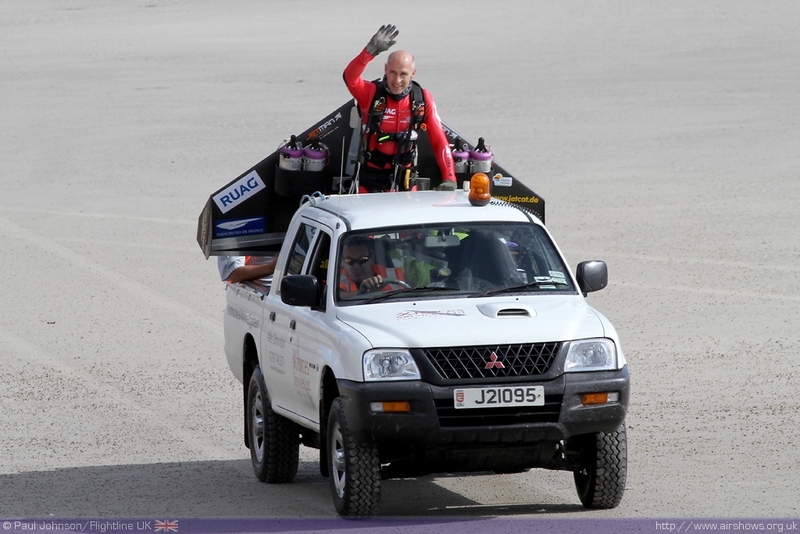 Yves landed to huge cheers and looks of a amazement! 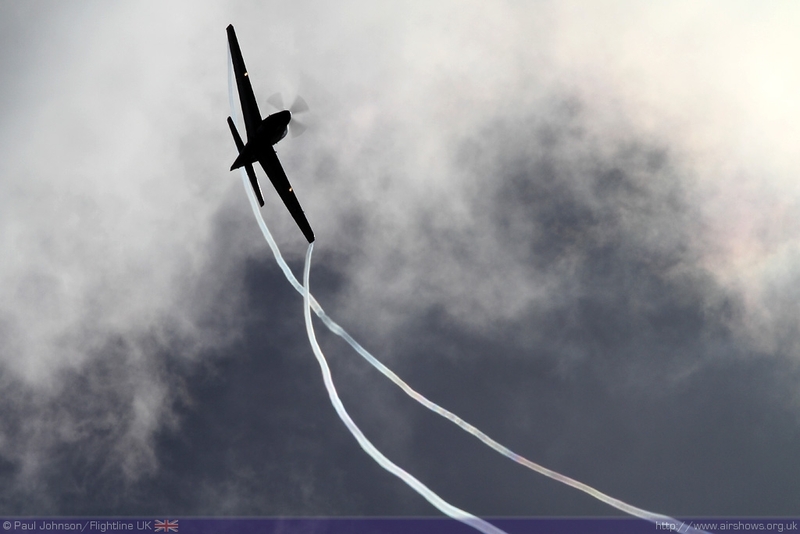 Yves display just about summed up Jersey IAD - it is an innovative, entertaining and very different air display that wins a place in your heart very quickly. I'm already looking forward to next year!